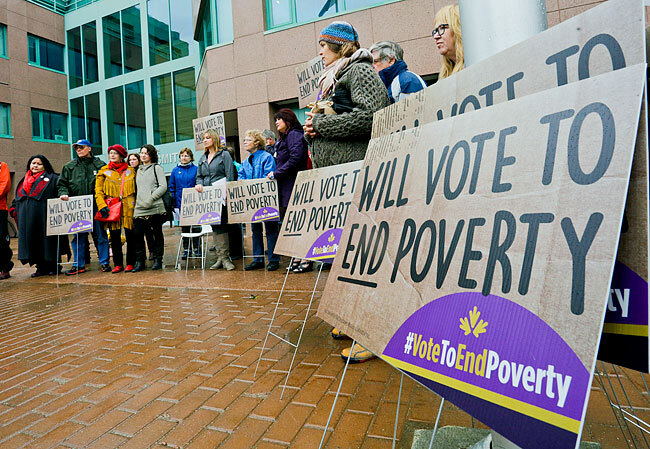 The Yukon Anti-Poverty Coalition (YAPC) was formed in 1996 to facilitate the elimination of poverty in the Yukon through awareness, advocacy and action. The Coalition coordinates Poverty and Homelessness Action Week every October and has community potluck suppers that coincide with Whitehorse Connects Days. The YAPC works with community members and partners on issues related to housing including availability of affordable housing as well as changes to the Landlord and Tenant Act. YAPC is also involved in the development of a social inclusion and anti-poverty strategy for the Yukon, spearheaded by the Yukon Government's Department of Health and Social Services.